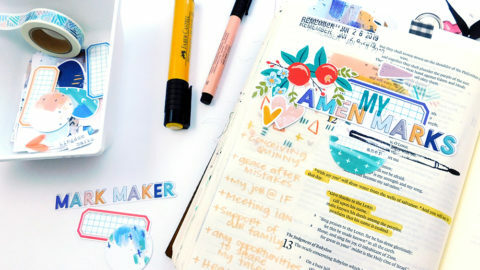 Does anyone else like to listen to the internet radio while they bible journal? I do (raises hand). I love how it’s easy to click around until you have a customized station. They play a little music and then an ad or two (I use the free version, so ads are common). I don’t usually pay attention to those, but you know what’s funny? One of my favorite advent pages two years ago came from an ad that started playing while I was working. 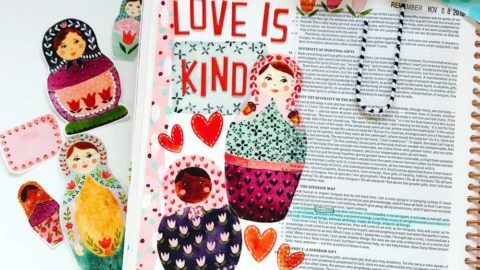 Amidst the painting and gluing, I heard a voice say, “put a little cheer in your heart…” I liked it so much that I put it right on my page. 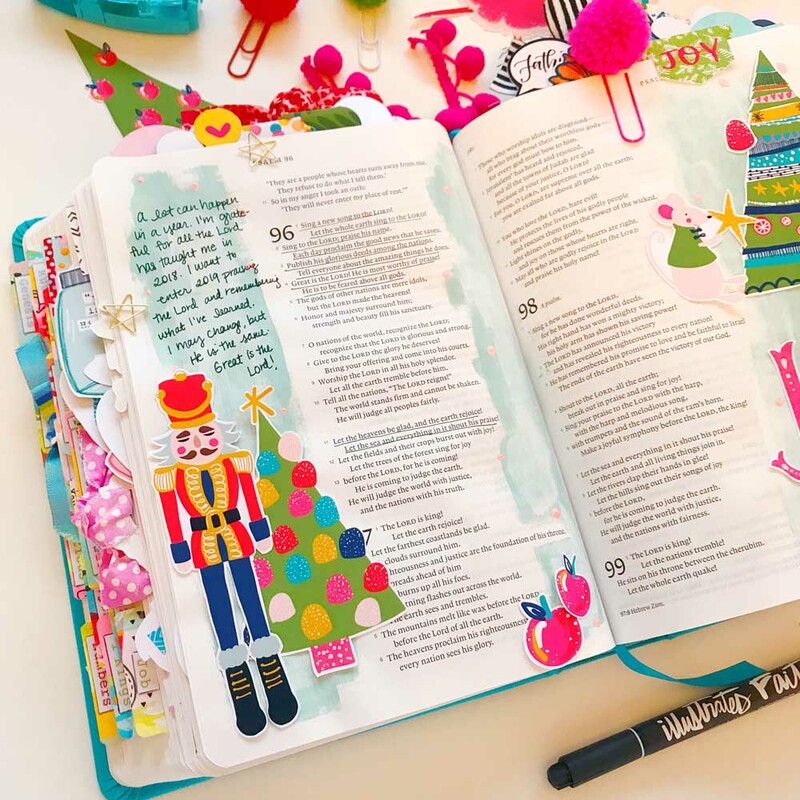 Last night, I heard the phrase, “a lot can happen in a year…” I had to stop and think about all that I’ve learned the past year while spending time with God in His Word. Without doing a flip through my bible, I could only remember the last few months. That made me think of the things I want to accomplish in my spiritual life next year. 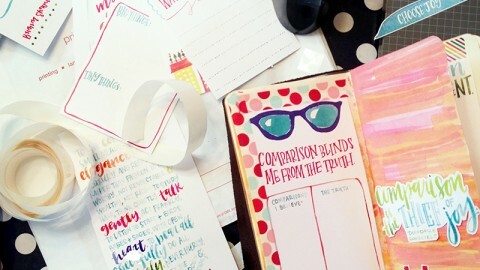 Things like having more intentionality, writing things down better, being specific, having a better prayer plan. Do you have a list like this? 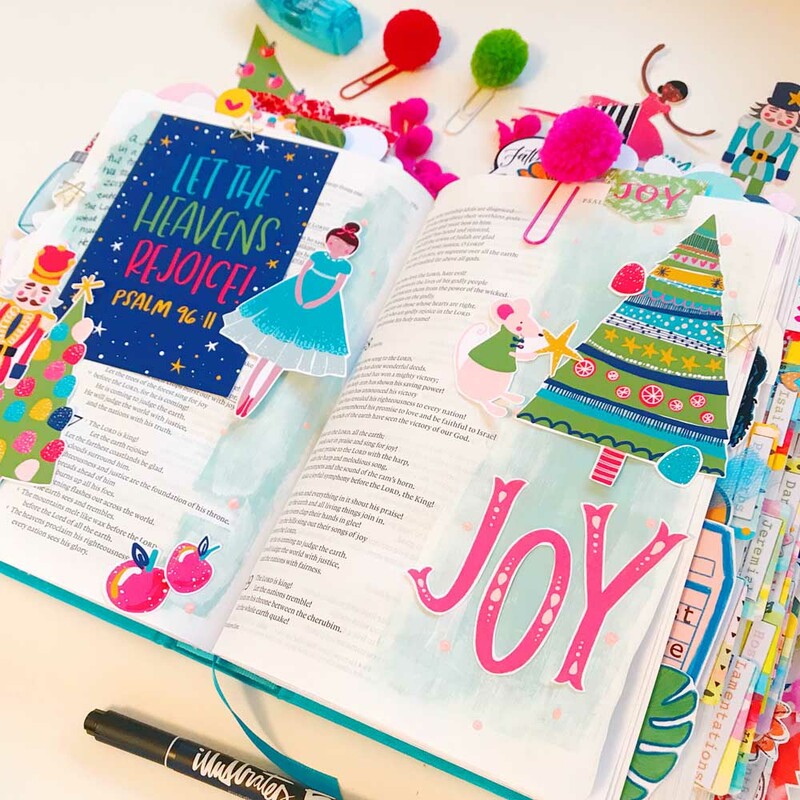 Maybe your list will say, “start bible journaling!” I would be so excited to hear that. A lot can happen in a year, and I’d like to start 2019 with praise. Worship is always an acceptable way to start the year! Singing a new song to the Lord and praising His name. 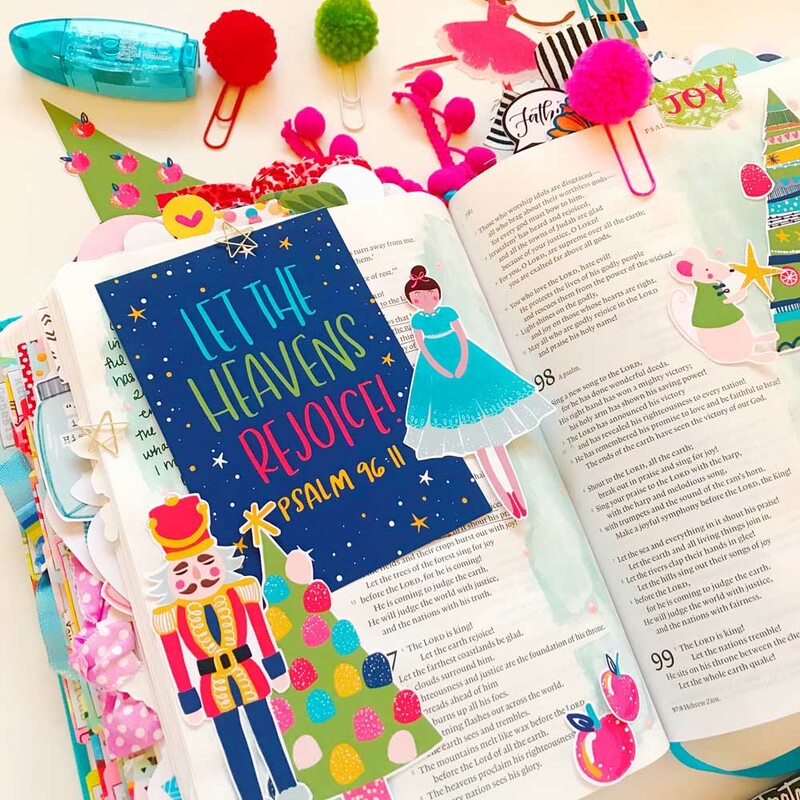 Whatever 2019 has in store for us, we can have joy that the Lord is with us. Next year, like I said above, I want to be more intentional about recording the things I’ve learned so I can look back and see how far I’ve come. I love that no matter how much our circumstances may change or we ourselves may change, the Lord never changes. How great is that? 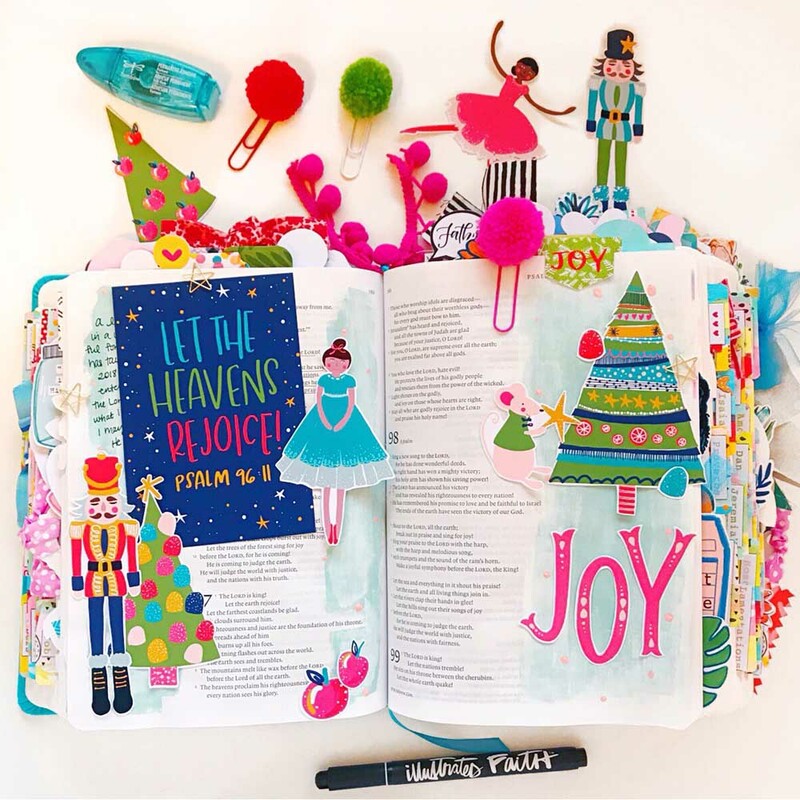 What would you put on your list? Read a new devotional book? 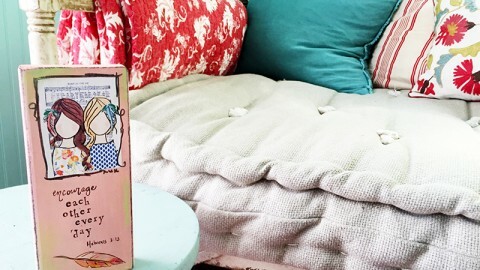 Start a bible study? Read through the bible? 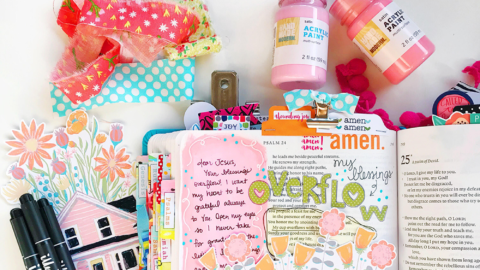 Start a bible journaling group? For today’s entry, I did a double spread, which is always fun! 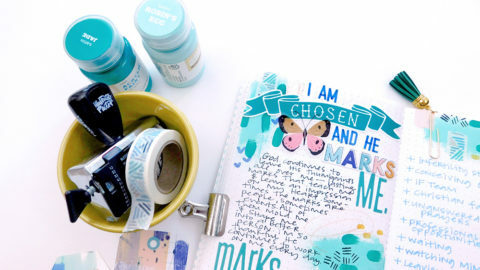 I added a little acrylic paint in the margins, and then I used a new printable set by by Brianna Showalter called Dance With Joy, available in the Illustrated Faith Print & Pray Shop. 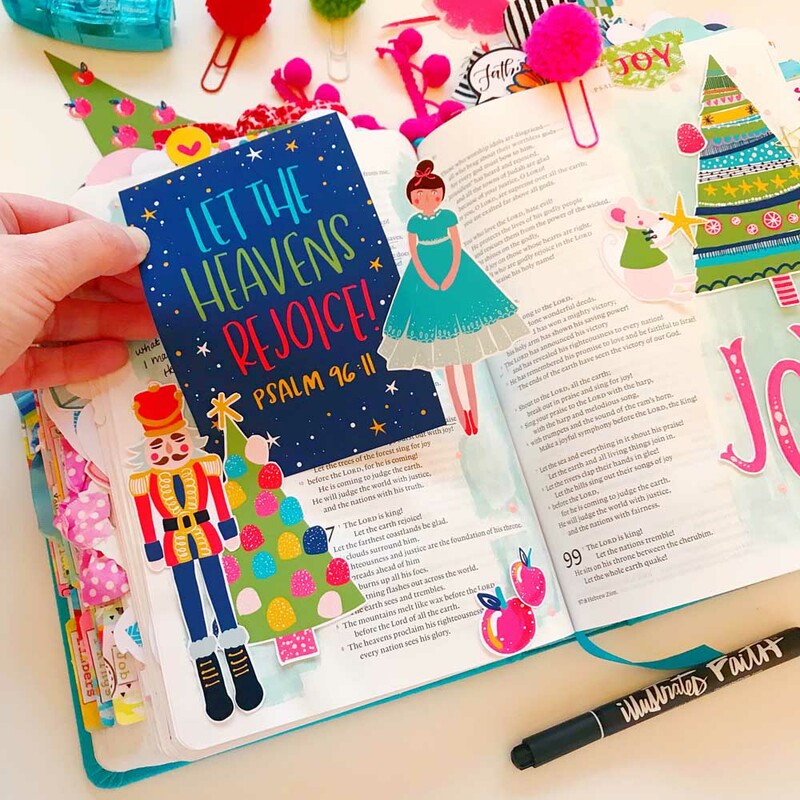 I love using cards in my pages, and this one is loose – it’s held by a star paper clip and tucked behind the Nutcracker and Christmas tree. That way there’s still ample room for journaling in the margins, yet I can include bigger items. Thanks for joining me here today, friends! 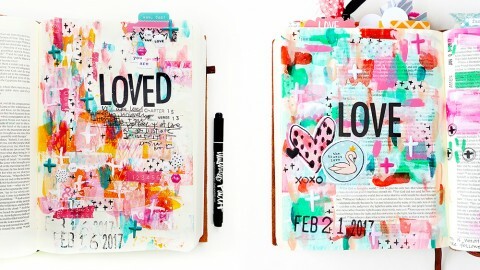 Inspiration Station: What is Scraplifting?